"CANDLE LIGHT VIGIL AND PADDLE OUT FOR LAETICIA "TEESH" BROUWER ON SUNDAY 23/04/17 AT THE SINGLETON BEACH MAIN CARPARK, ALL WELCOME TO ATTEND"
CANDLE LIGHT VIGIL AND PADDLE OUT FOR LAETICIA "TEESH" BROUWER ON SUNDAY 23/04/17 AT THE SINGLETON BEACH MAIN CARPARK, ALL WELCOME TO ATTEND. A candle light vigil and paddle out will be held for Laeticia "Teesh" Brouwer on Sunday 23/04/17 at the Singleton Beach Main Carpark. A paddle out is scheduled for 5:00PM, all are welcome to be a part of remembering this beautiful soul. 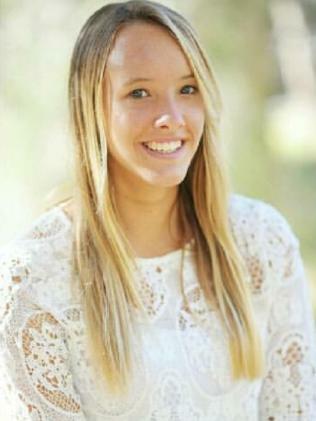 Following the paddle out, a Candlelight vigil will be held at 5:30PM to remember Laeticia. Secret Harbour Surf Lifesaving Club have kindly offered two jet skis from 5pm until sundown. They will be out in the water during this time. 100 plastic cups with tea lights will be provided (so they don't blow out) for people to collect on the evening. The community/people are asked to bring along their own candles as numbers may be insufficient to provide everyone with candles and cups. A heart felt thank you to Woolworths Secret Harbour plus friends and family and the community who are donating flowers for everyone at the memorial. A go fund me page has been set up to help the Brouwer family click on the link below.